Nobuko is in Israel at the moment and has this to share with her readers. Israel was cool. Perhaps because I have friends here, and can see the local way of living in what appears to be a mysterious country. I stayed with Tamar, a women I had met in Thailand 11 years ago and I’m usually good at keeping in touch. I took a side trip to Jerusalem. I think I have been on the road a bit too long, because I did not feel any excitement when I reached the city. It’s Jerusalem! Yet my reaction was “Ah… Rajasthan was much more stunning architecturally, Cairo retained its authenticity and decadence of a crumbling down ancient city”. See the lack of appreciation? It was super annoying to have many shop keepers yelling out to me “Ni-hao, China?”. The interactions never passed beyond BS sales. 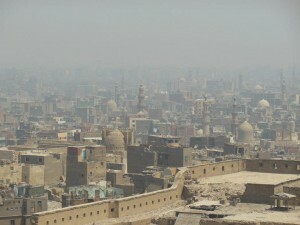 It just made me miss and cherish my experience in Cairo. I am sure others would enjoy visiting Jerusalem for a religious/spiritual purpose and in appreciation for its biblical history. Jerusalem, outside of its walled-in old part, is very modern with well a connected system of buses and light rail. Malls, boutiques, restaurants, cafes and fast food shops fill the somewhat European looking streets. Being there had a déjà vu effect on me that I thought I was back in the U.S. The only reminder that I was indeed in Jerusalem was orthodox Jews walking around with winter suits and fur hats in 36 degree temperature…But wait, I see this in New York as well! Back in Tel Aviv, I spent time resting the day and hanging out at night. Tamar invited her friends and we went out almost every night. I got to reunite with another Israeli whom I had met in Brazil in 2009. And he brought his friends, so I met even more Israelis. At one point, things take on a snowball effect. The number of people you meet keep multiplying by minutes. Luckily I was in a good state of mind and good physical health to enjoy such spontaneous situations, especially over beer and food munchies!! Before coming to Israel, I was also in Aqaba, Jordan, by the red sea. The beach was beautiful, but local men were always approaching me since I’m alone. And since they are cowards and never have the nerve to do the same alone, they come in a pack, like dogs. To avoid this, I found a woman sitting alone and went to talk to her. Turned out that she is an Argentinean from Buenos Aires – don’t know if I had mentioned it before – but I have second cousins there from my mother’s side, and I was there to meet them in 2010. So we hit it off. She is my mother’s age, but looks much younger. Her husband is also Argentinean and Jewish. They live near Tel Aviv. After spending a nice afternoon talking and her watching my bag, while I went snorkelling, we decided to meet once more in Tel Aviv. So, she and her cynical but funny husband took me out today (my last day) to a very nice Italian restaurant by the beach. We shared a leisurely late lunch over white wine and talked, talked, and talked some more. They are the sophisticated kind of people who do not take themselves seriously, and have a great sense of humor. It makes me feel so good to connect with such people because it’s great fun, stimulating, and a big ego booster. I feel a bit guilty that I didn’t enjoy being with Tamar as much as I expected. This is because I dropped in on her while she is unhappy with her life. The atmosphere was filled with tension (with her husband), her frustration that she lost her self in child rearing, so on and so on. She understandably prefers to hang out with male friends (it makes her feel attractive). One of them was a gentleman who paid for my beers when we went out a few times. But the tension followed because it was apparent to me that Tamar did not like his girlfriend. After the nights ended, each time she complained to me about the girlfriend. I didn’t like this since I saw it as waste of time to bash someone. in comparison, I had great time with Argentinean because they exude contentment, poise and sense of mature detachment. One of the most amazing, yet challenging things during traveling is – meeting and dealing with people. Each one has his/her own preoccupation, issues, idiosyncrasies, and temperament. Many times I found myself in situations where I and others had to endure each others’ company for reasons that were out of our control. And I think tolerance is the key to open the first door. If this works, then we have time to feel out the chemistry, then we decide how to behave toward each other. There have been more wonders than regrets, thus reinforcing my willingness to take chances – of course, except for obviously hopelessly stupid men. 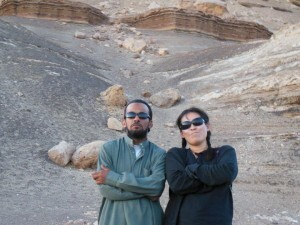 Nobuko, my travel-the-world friend, is posting from Madaba and the Dead Sea. Madaba is a small town, 40km and a world away from Amman and also renounced for its Christian settlement. The Palace Hotel in Amman had a sister hotel in Madaba, so they shuttled me there for free. Well, NOTHING is really free in Jordan. But that’s how they put it. The hotel in Madaba was far from the city center, about a 30-minute walk, if you don’t get lost, that is. This was s contrary to what I was told before: a 10-minute walk to the town center. But it was a clean place. I give them that much. 17ND for a single. Jordan was stripping my wallet in just three days. I ventured out to find the town center, following the map and verbal directions, accompanied by hand gestures given by the front desk staff. But I got lost. It seems that perhaps in Jordan left means right, or people don’t know what is left and right. I ended up going the complete opposite way. By the way, maps serve no purpose here: people don’t know how to read them. They will just turn it around, look puzzled, and turn it around some more just for the heck of it. A police car with two officers passed, and not even they could read the map on their own, with Arabic indications. They were nice enough to give me a ride to the city center, but one of them tried to charge me. The other one pacified the greedy one, thank God. This type of “Nice gestures, that end in money making” schemes would repeat itself throughout my stay in Jordan, and strongly color my opinion of its people here (not a nice one as you can guess). Once I got to the center, I continued to be lost. The map is not well written, not even correct. I found four young Jordanians from Amman, the sole exception to the general public who I’ve found to be greedy, liars, and distasteful. They suggested that we go around together. They could not even find some places, so this made me feel less stupid. We managed to find St. Jorge Church and a museum. The next day, I went to the Dead Sea and the Jordan river where Jesus was baptized by John the Baptist. Jordan is a hard place for an independent tourist to get around: the lack of public transportation options (hitch hiking is not recommended), the high cost of a taxi, the mob network of taxi drivers and hotels, and the Jordanians’ inability to read maps make this country one of the worst places to travel cheaply. 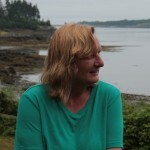 I ended up hiring a taxi for 40 ND for a day to visit only three places. The Dead Sea was very nice. The Amman Beach is a public one and costs 16 ND to enter instead of 40 at private hotel beaches. It has a shower facility and locker. If you want mud smeared on you, that’s an extra 3 JD. Remember, nothing is free here. I’m surprised they don’t charge for the oxygen you breathe. I went early in the morning and it was not crowded. I floated for about two hours – it is even hard to stand up, because of the very high salt content. And the skin feels very smooth afterwards. This was better than any spa treatments I had received in my life. The next destination was the Jordan river. Both the Palestinian side (West Bank, aka Israel) and the Jordan side capitalize on this river to which so many biblical stories are attached. At one point, the river is only about 20 meters wide, so you can greet tourists on the other side. There are die-hard Christians who bring themselves and their babies to be baptized in this river. Apparently, Israel got control of the water flow of the Jordan river, so it is affecting the fresh water supply to the Dead Sea. As a result, the Dead Sea is shrinking. Soon, there will only be a mass of crystallized salt there. After taking a break at my hotel room for two hours, I was taken to a sunset point overlooking the Dead Sea, with Jericho on the West Bank and Jerusalem in the distance. But the entire time I was trying to enjoy the view, the driver was giving his spiel on whatever else he could sell me – tours to this and that place, shopping at this and that, shops which are presumably owned by his “uncles” or “cousins”. At the hotel, I met two French people and we decided to share a taxi to get to Petra (there is no regular bus from Madaba to Petra, and though buses exist that connect Madaba to other towns in between Madaba and Petra, it’s time consuming). Even this decision was altered by the hotel staff who basically forced us to take their driver, and tampering with our itinerary. But at 22 IS per person, compared to me going alone and paying 66, it was still a good deal. The next day, we hit five places before getting to Petra, most of which we spent only 45 minutes. When arrived in Petra, we could not get out of the taxi without hearing even more sales pitches. It’s one thing for them to talk, but these people try to make you feel bad about your plan, or your plan is a poor one. I was so happy to be out of that taxi. This time, Nobuko is in Amman/Jordan and has this to say. My flight from Alexandria arrived in Amman at 5pm. Air Arabia is a nice airline – I liked the friendly service, food, and the punctuality. The price was good at $110! I got myself a Jordanian SIM card, and then took a 45-minute ride on a bus into the city. 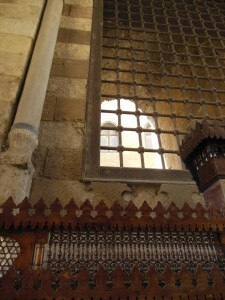 But Amman is a challenging city to navigate – it’s big (of course, it’s the capital!) with wide multi-lane avenues. I should have had a good map or a 3G ready device with map function in my hand. I had contacted a host via couch surfing. She told me the neighborhood where she lives, so the bus driver dropped me off at the nearest stop to that area. At that time, I did not know this, but it’s quite far from the city center. When I called my couch-surfing (CS) host, she instructed me to call her again after catching a cab, that she would give the address to the driver. Well, cab drivers in Amman are not so kind with tourists. If you don’t cough up big bucks, they simply drive away. I tried several cabs and each time I had to call my CS host again. I asked her to text me her address to avoid using up my phone credit, but she claimed that she had no credit herself and was unable to send outgoing calls or texts… and she also refused to tell me verbally, since she didn’t believe that I would be able to say it correctly (I do not speak Arabic). I never found a cab who agreed on the fare. Soon I ran out of credit. The SIM card I had bought came with only 15 minutes worth of credit, and there was no store nearby where I could buy more. One hour had passed by this time, me on the curb side hustling for a cab. And I was carrying my bag weighing 15kg in total. So I decided to ditch the cab and my unhelpful CS host, and walked to look for a bus stand to go to city center instead. However, since I was in an area that resembled U.S. suburbs with hardly any pedestrians, I could not find people to ask for directions. I wandered around for 30 minutes, and found a bus going by and tried to flag it down. But here in Amman, a modern and organized city, it seems that buses don’t stop unless you are at a stop. OK.I found a food joint and asked there “Salaam alecom, bus?” You can imagine how successful this interaction went. I really cursed myself for not knowing Arabic. I saw and flagged down a mini van (collective taxi) and said “City center?”. The driver nodded yes, so I hopped on. But a fellow passenger, who spoke English informed me, that the bus is NOT going to city center. So I got off after two stops. I was fine to hunt for the right bus, but I was tired of carrying my bags. I saw a hotel-like building nearby, and walked there in hope of getting someone to help me. It was not a hotel, but there was a travel agency! The manager, Mr. Ali, who spoke fluent English, tried all that I requested, but in the end, said its far easier if he just dropped me off himself at a hotel in the city center. He served me coffee and sweets in a luxurious waiting room with a nice sofa – he even let me use the computer for internet – while I waited for him to close the office. Then he drove me to a hotel (Palace Hotel). His parents are from Palestine and he was born and raised in Saudi Arabia. He recently took a trip to New York and found it boring to be there alone. I can understand that. Being in a mega modern city alone is not fun. I checked in and had two beers, Skyped with my friend Maria in Germany (the host blogger) and went to sleep. The next day, I walked to the Citadel. It was a 30-minute walk uphill, but a pleasant one since there were hardly any cars driving by. The view it commands is amazing. You can see the city at 360 degrees around. From there, I walked down to the Roman Theatre, which casually sits by a busy road. Some locals approached me during my walk, but Jordanians – or more accurately, Amman residents – seemed less extroverted compared to Egyptians. I stopped at a food joint and had a big meal for 3 JD ( 1 JD = $0.73), so this is not so cheap. But the owner gave me free refills on salads and beans for which I was very happy! The points of interests are spread out in Amman. So if you try to walk it, or do it cheaper by bus, you need a lot of of time. I gave up the idea of visiting mosques on the opposite hill from the Citadel and instead walked around the market near the hotel. Out of all, honey stores and shops that sell naughty lingerie stood out because I love honey and I find it charmingly interesting that predominantly Muslim countries (Egypt likewise) openly sell fantasy triggering night wear. Every time I see one of these lingerie store I want to go in and look what else they have inside, but unfortunately the shop keepers are always men and I assume that me going in alone may not end in a harassment-free interaction. But why are the shop keepers selling women’s lingerie men? Do only men go to these places to buy skimpy underwear for their wives and girlfriends? Don’t women go there themselves? I actually have never seen any customer inside – neither women nor men. So I don’t know what the make up of the clientele is. That same night, I also received a surprise from a hotel worker. At 10pm, there was a knock on my door. I was stupid to open it, but I did. In India, I would have NEVER done that. There stood this guy who works as a cleaner. He asked me if everything was OK, and if I needed anything. I said no. Then he zipped down and pulled out his not so impressing wee wee….. I was speechless for a few seconds, due to the caliber of stupidity of this, but came back to myself and got really pissed off. I pushed him away (and he hit the wall and almost fell – with his ding dong hanging out, which is a funny scene to recall) and I locked the door. Immediately, he started to bang on my door begging for my forgiveness. What an idiot! I called the front desk using my cell phone and asked the attendant to come to my room. He came, and that idiot was still standing there, half crying. Anyway, we settled the matter by the idiot paying for my hotel fee. Had he touched me even with one finger, I would have pressed charges against him. But this is all funny now. Ladies, be smart and don’t open the door, even if the knock comes from a worker. Well, I raved about how I had never been subjected to sexual harassment in Egypt. But this guy was Egyptian. Just like anywhere, there are always stupid people as well as gentlemen. The male friends I made in Egypt were mortified and ashamed when I told them the story. 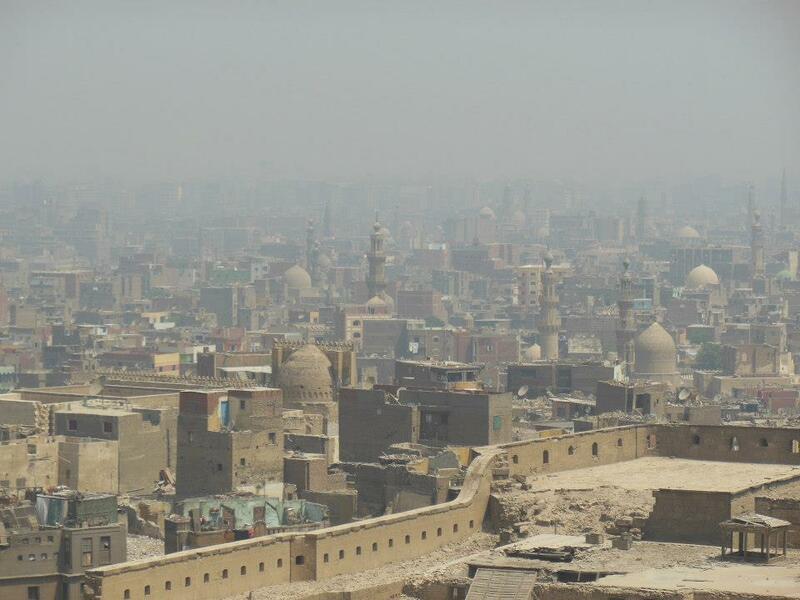 Nobuko is back in Cairo and sharing her impressions. 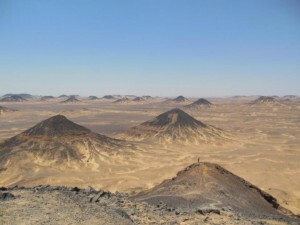 I left Bahariya on a bus and five hours later, I returned to the flat of my couch surfing host in Cairo. She welcomed me back and that night, we stayed home and ordered home delivery of beer and food, and talked. In Cairo, you can get home delivery of virtually anything you want from food to cleaning supplies to electronic items. The next day I ventured out to the Citadel. The hefty entrance fees were getting to me and my wallet, but I went anyway, paying 50 E pounds. The most impressive was the mosque. Apart from that, the Military Museum held nothing interesting for me, and the palace complex was closed for renovation. From the Citadel, I walked to the Bab Zuwayla area through a vegetable and chicken bazaar. When I asked three older gentlemen sitting and drinking shai (tea) for directions, they invited me for a cup. I talked to them about my trip in front of a barber shop that had closed down and this space became a sitting area for locals to sip shai, like they were doing. I arrived at Bab Zuwayla, but the area was quiet with closed shops and not many people walking around like I saw on my first visit. But it was 1 p.m., and at this time of the day, only tourists would walk around. The locals would avoid the heat by retreating into the house. Along the way, I received many “Welcome to Egypt! !” or hand waves from vendors and pedestrians. I love this kind of reception!! I happened to find a metro station, and it was 2:30 p.m., the hottest time of the day, so I took a metro back to my host’s house. It cost only 1 E pound for a ride. I grew to like Cairo very much. But there was one more place I wanted to see … Alexandria! I said good-bye to my host in Cairo, and bought a second class ticket (19 E pounds) for a local train from Cairo and 3.5 hours later I was in Alexandria. I was received by the couch surfer, Islam, who kindly delivered me to the hotel (Crillon hotel). The room I got was 120 E pounds with breakfast, sea view, and a very retro interior. I loved it! Islam invited two other friends named Islam as well. We went to eat kosharia (Egyptian food) where I got a meal for 15 E pounds. Alexandria has many eateries and cafés with tables outside. This is so nice since the temperature was very pleasant and there were no mosquitoes! The three young men are young 20-something guys who are well educated, open minded, and hilarious! I enjoyed their company a lot. After dinner they took me to a place, I don’t know what to call the place, it might have been a tea shop? There are many establishments where people come to drink tea, smoke shisha (water pipe) and play games like chess. It’s a very lively place with tons of people – mostly men – until well past midnight. I like cities with nocturnal hang-out places like this. After a while, there were people congregating outside so we went to check it out. There was a group of several young boys doing a rap gig, surrounded by a crowd. One of my young friends joined in. I did not know this, but he is a mechanical engineer who spends much of his time writing poetry and singing rap! The boys were very friendly (and handsome!) and we chatted a lot. They mostly rap about politics. This was impressive since usually many boys their age may have their minds filled with girls or naughty stuff. They spoke English quite well, too. The next day, I ventured out around 11 a.m. to the Citadel by the sea. Wow. It’s a beautiful fort with the blue sea behind it. Islam and Islam came to meet me there, then we moved onto the palace at the other end of the city. Inside the palace we found three people playing music and dancing at the side of a parked car. Of course, the rapper Islam joined the dance and got me to dance too. I love this kind of spontaneous character. We wrapped up the night by visiting the same tea shop we had gone to the previous night. And to make the night more special, we found those young rappers there again! They were so happy to see us, too, and we talked again and exchanged our contact information. One boy in particular was very flattering, complimenting me with kind words, even called me beautiful! But come to find out, he is only 18! So I told him that I will be his Japanese mother…We took pictures together and said our good byes. I find Egyptians to be extremely outgoing and friendly. My three friends named Islam did not know any of these boys, but they hit it off very well and made friends with each other instantly. This type of quick-to-warm-up social behaviors were seen many times not only with me, but also among Egyptians. This is the best part of my Egypt experience. People are ready to have fun and connect with others. Egypt got on my list of places to return to. Definitely! 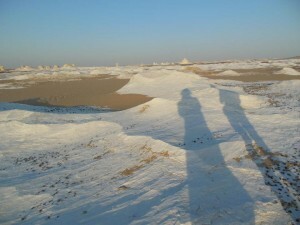 Nobuko, my friend and traveler, leaves her lasting impressions about the Egyptian desert. She is on her way to Amman/Jordan now. Visiting the desert is truly my most favorite thing to do. I enjoy it more than beaches. The complete silence and the sky reaching from horizon to horizon, whichever way I look, make me feel so FREE like nothing else does. 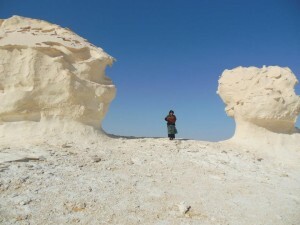 From Dakhla to Bahariya, it takes 6 hours and 50 E pounds by bus. I wish I could have travelled during the day to enjoy the scenery, but due to the time crunch my underestimation had created, I had to take a bus at 5pm. So I only had 1 hour to see the landscape. About the depressed tourism situation, I had reported earlier. 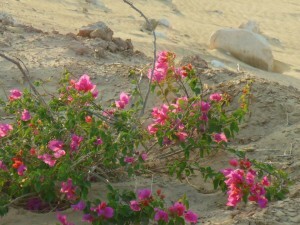 But things must be worse than I can see, because many hotels in Bahariya, the most visited oasis in the western oasis area, have disconnected their phones or do not answer the phone. Among the ones that are still operating, Desert Safari Home was the budget choice at 50 E pounds per night for a single room. The son of the owner, Mohammed, picked me up at the bus station at 11:30pm. The owner Mr. Badr received me at the hotel, but I was too tired to chat. The next morning I learned that there was another guest there!! In Luxor and Dakhla, I was the only guest. I was very happy to have company, and possibly being able to go on an overnight desert trip and share the cost with this person. If you are alone, the price for a two-day trip costs a whopping 700 E pounds. But with two people, the price per person drops to 400 E pounds. The other guest was a Spanish woman my age, she also has been traveling alone for one year. And thankfully we hit it off! I tried to convince her to do a three-day trip with me, but due to financial reason, we settled on the two-day trip. Really, the more people, the cheaper when you travel. The more people you have with you, the better your chance of succeeding in bargaining on prices of room and transportation (you can even hire an entire vehicle!). You can also share the cost to hire a driver / guide. That day we took it easy and only did a mini tour for two hours (35 E pounds per person). 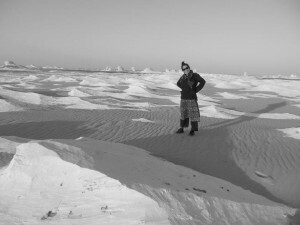 The excursion was short, but high was its intensity, because we had to go across many sand dunes. The driver, Sahid, is a Bedouin who looks like a “gangsta” with his sunglasses on. But he becomes like a small child with complete sweetness when he smiles. He agreed in good humor when I made him pose with me for a photo of us looking like two mean “gangsta”! Driving over sand dunes is not an easy fleet. One must have the ability to gauge how much momentum or control is needed to go up/down the dunes without getting stuck or flipping the jeep over, and the skills to deliver the calculated maneuvers. He was more than competent because he drove it like he was playing in a sand box with his mini car. The next day, we headed out around 11am. We were so happy to have Sahid as our driver again. The first stop was the Black Desert. I was not so excited about this one, but oh boy, it is so beautiful there! The black volcanic rocks turned into black sand and it covers a vast area like powdered sugar sprinkled over a pound cake, creating a gradation of color shift from brown to black. Because of this effect, you can see even the most subtle sand waves created by the desert wind which go on for miles. Wow. No eye catching frills, only the simple tone gradations of two colors. But because of this simplicity and the vastness of the view, it’s a painting done by nature on the largest canvas, and to me, it is far more moving and beautiful than famous pieces in any given museum. After lunch and a few more stops, we reached the White Desert – another incredible landscape. It looks like thousands of odd shaped pieces of white growth are sticking out of the desert floor which itself is also largely white with patches of brown sand. Upon getting off the jeep, I realized that the desert floor of this area is actually entirely white, if all the sand was swept off. Its color is evidence that the area was once a sea bed and the desert floor contains salt. We walked around while Sahid set up camp and cooked for us. We found so many sea shells – in their original shape and still intact – on the ground. The white “rocks” looked like cloud patches and the white ground shaped like waves by the continuous winds. It made me feel as if I was walking on the surface of the ocean, or in the sky. Sahid is a great cook. He made a chicken – rice – vegetable dish. It sounds simple, but I have never had a chicken dish like that one before. And we enjoyed a bonfire, with a full stomach and the desert night sky, it was hypnotizing staring at the fire. Two foxes visited us to get the leftovers. They were so small! After they had their fill, they used our plastic cups for toys, and played with them for a long time without getting bored. Our camp did not have a roof. Since it does not rain, and the wind was not strong, it was perfect. I fell asleep fast, but I was awakened when I felt through the blanket one of the foxes walking over my legs. Sahid said there used to be as many as 35-40 groups coming to the White Desert to camp before the revolution when tourism was still booming. So the foxes must have gotten used to being around people. That night we were the only ones in the area, and we felt lucky to enjoy the quietness of the desert. Edit: The photos were added on 14 May 2013.